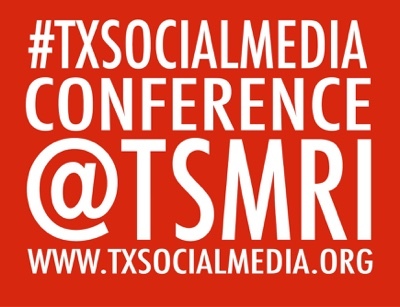 The Texas Social Media Research Institute (@TSMRI): Did You Forget to Submit a Proposal for the #TXSocialMedia Conference?Find Out More! Did You Forget to Submit a Proposal for the #TXSocialMedia Conference?Find Out More! 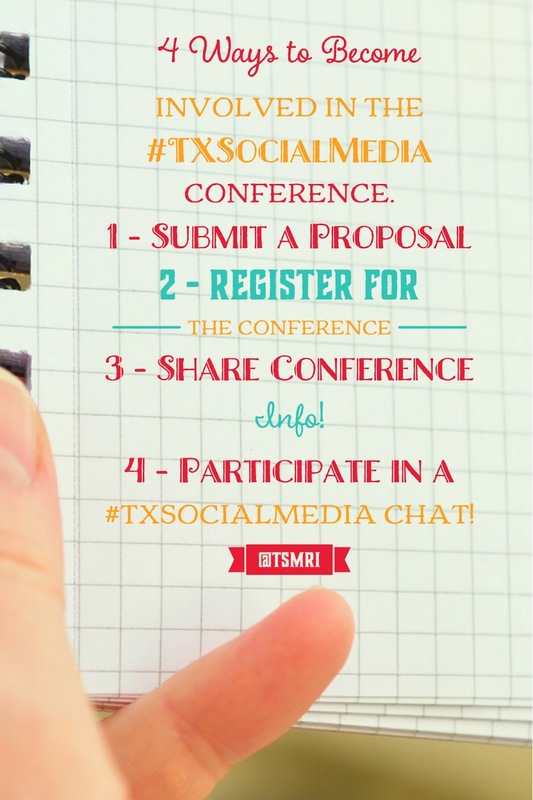 If you are looking for the best, cost-effective, energy-filled conference filled with ideas that you (or your organization) can implement IMMEDIATELY, you NEED to register for the Texas Social Media Conference! This conference is essential for social media content generators, social media researchers, small businesses, and others who are genuinely interested in learning more about social media for work and/or life. This is the 6th Annual Texas Social Media Conference and we are excited that this will be the biggest and best year of the experience! Get involved and prepare to attend this year's conference! 3 - Share Conference Info with Others! 4 - Attend a #TXSocialMedia Chat! If you have any questions, please contact us - texassocialmediaresearch@gmail.com.